Located in Portsmouth, OH, we’re a family-run company with decades of knowledge and experience in the hardwood industry. That knowledge and experience grows with every generation, guaranteeing that the work we do today is always the best we’ve ever done. Quality isn’t just a feature we try to build into our product. Quality is our legacy and we work hard to continue that legacy every single day. 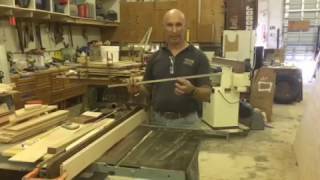 We specialize in flooring that uses a sawing pattern called Rift & Quartered. A Rift & Quartered plank is cut perpendicular to the growth rings, resulting in a tight, straight, vertical grain. Not only is it visually stunning, but it is also the most dimensionally stable cut of lumber possible. A Rift & Quartered plank will expand evenly and vertically, increasing the structural integrity and lifespan of our flooring. What sets Graf Custom Hardwood apart is our high level of craftsmanship, a level that can only be reached because of our passion and our town. Every day we strive to push the industry past its current limits and to do the best work we have ever done. We are determined to exceed all expectations and not only reach the high standards set by our customers, but surpass them. We will go above and beyond to make sure that happens. We’re able to do that, in part, because of our town. We’re located in Portsmouth, OH in the foothills of Appalachia. 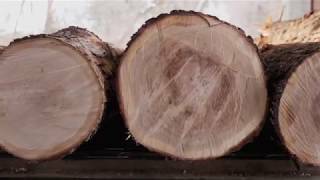 All the natural beauty and resources that surround us here give us a surplus of top class White Oak, Red Oak, and Walnut. All four of our collections—Solid, Engineered, Prefinished, and Style—start with logs we’ve sourced from within 400 miles of our plant. 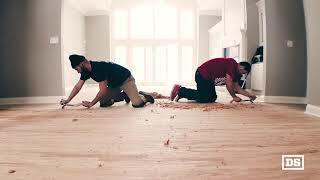 When you combine the most passionate and skilled craftsmen in the industry with the high quality Appalachian oak and walnut, there’s only one possible outcome: the greatest hardwood flooring company in the world. 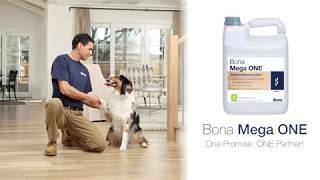 Bona Mega ONE™ is a one-component finish you can depend on for a job well done. Super durable, a crystal clear finish, and great build. It’s the new star in the Bona Waterborne Finish family. Bona Mega ONE is clear, it’s versatile, and it’s Bona. 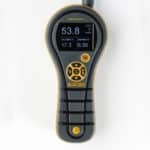 Your best partner for every contracting need. Since 1898, DuraSeal has manufactured the most innovative, highest quality products to be used for every application and environmental demand. By focusing on your customer, you can carry on a strong reputation on heritage, superior quality, innovation and commitment to do the job right the first time. Every time. 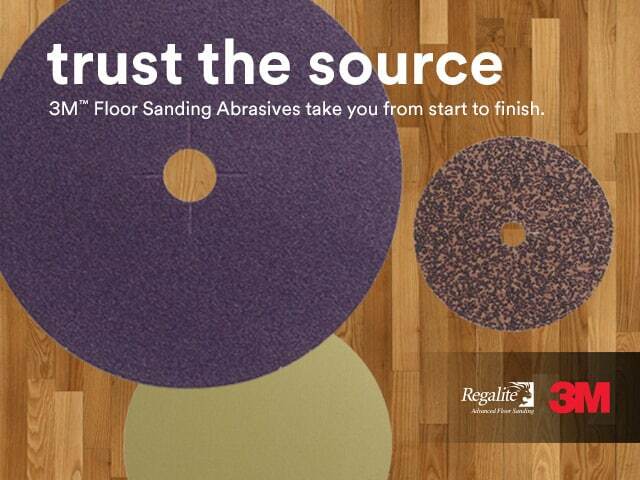 To request a product demo or contact a sales rep, visit us at www.duraseal-wb.com. 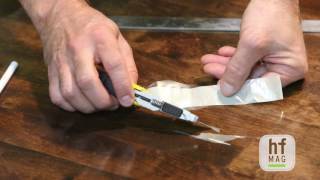 Bona R880 is a firm-elastic silane-based construction adhesive. With an extremely high initial bonding strength and rapid setting formulation, it is perfect for horizontal and vertical applications alike. 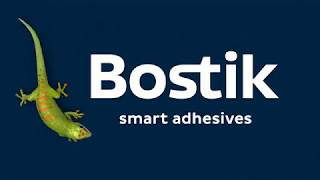 The bonding process can be accelerated by lightly misting the substrate prior to application, and/or lightly misting the adhesive once applied. 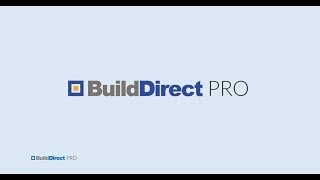 The Magic Oil 2K video demonstrates the proper application of Magic Oil 2K Magic Oil 2K is a 2-component hardened oil penetrating finish for residential and commercial applications. It provides a velvety, matte finish that repels dirt and water and gives the floor a rich, European hand-rubbed appearance. 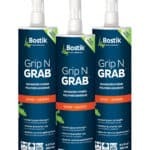 A select number of Bostik’s premium hardwood adhesives are labeled with the SoundGuard™ icon, which indicates that the all-in-one adhesive is designed to reduce sound at a level comparable to ¼” thick cork underlayment. 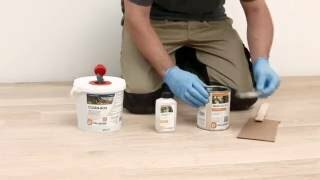 In this video, we demonstrate sound reduction in four different kinds of hardwood installations and discuss the value in using a Bostik product for hardwood installations. In a remote forest in British Columbia, LP product experts and two of the world’s leading kayakers embarked on the ultimate testing mission: to prove the strength and durability of LP Legacy® sub-flooring by exposing it to one of Mother Nature’s wildest extremes. Under the lens of adventure photographers and videographers, the Tested Extreme™ team sent an LP Legacy sub-flooring panel over the edge of Britannia Falls, a 70-foot drop at 625 cubic feet per second. 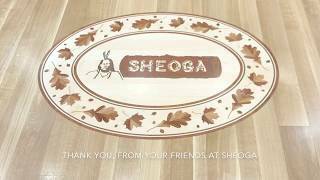 Sheoga’s video highlights the craftsmanship and attention-to-detail our team employs while manufacturing ¾” Solid & Engineered hardwood flooring – from acquiring responsibly-procured lumber, to grading, air-drying & kiln-drying on premises, through the defecting and milling process. See for yourself! Feel free to contact us at 800-834-1180 for availability & pricing. We looking forward to hearing from you and thanks for watching! 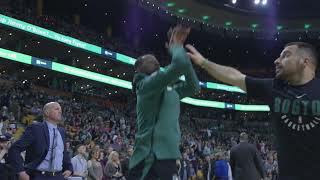 For the second season, Bona and the Celtics teamed up for a fan sweepstakes where the winner received a 5’x5’ piece of parquet from the 2008 NBA Championship floor! See the winner's reaction to the once-in-a-lifetime Grand Prize. 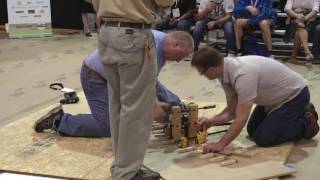 The video above is a brief corporate video that shows the history of Pallmann in the Wood Floor Industry. 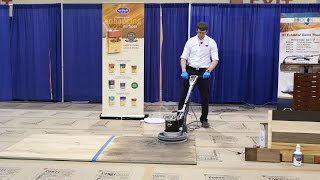 The video also describes the commitment worldwide that Pallmann has to educating and training the wood floor contractor in the latest advancements in Wood Floor Installation Technology. 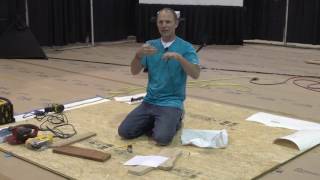 Additional educational videos can be found on our Pallmann USA YouTube Page. There's no denying that floor design is trending. 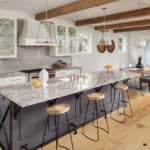 Homeowners want to design their space around a unique floor that is truly one-of-a-kind. 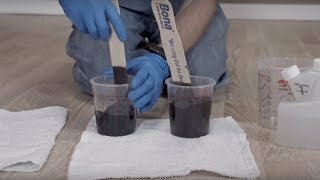 Bona Craft Oil gives you the versatility to blend and create a totally custom color, while over-coating with any finish in the Bona Traffic Family for the ultimate protection. Under the cover of heavy rain, two professional mountain bikers, a team of videographers, and LP product experts trekked through a muddy British Columbia rainforest for a unique new adventure: putting LP Legacy® premium engineered sub-flooring to Mother Nature’s—and extreme sports’—ultimate test. Watch the behind-the-scenes expedition video to immerse yourself in the harsh conditions and witness the lengths the LP team went to test Legacy. 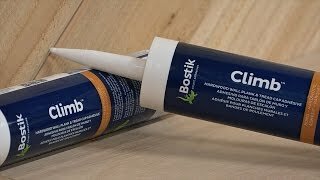 Bostik’s Climb™ is a one-component, easy gunning, non-sag adhesive that is specifically formulated for installation of hardwood flooring planks on interior walls as well as stair tread caps and risers. The Climb™ formula has superior grab strength and cures quickly to form a tenacious bond. Once cured, Climb™ remains tough, yet flexible for extreme durability, helps reduce stair squeaking, and reduces the sound of footsteps on stairs. 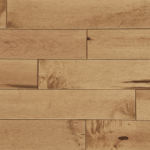 This specialty formulation is also easy to clean off of prefinished hardwood wall planks, tread caps, and risers, even after the adhesive cures. Climb has 0% solvents, minimal odor and low VOC. Under the cover of heavy rain, two professional mountain bikers, a team of videographers, and LP product experts trekked through a muddy British Columbia rainforest for a unique new adventure: putting LP Legacy® premium sub-flooring to Mother Nature’s—and extreme sports’—ultimate test. 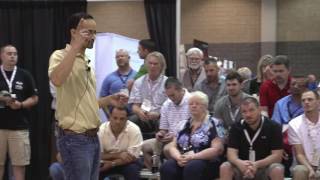 Take a tour of our manufacturing process. 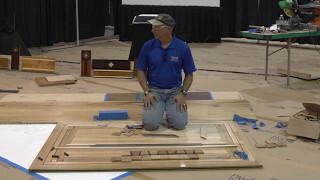 Aacer Flooring is a high-caliber manufacturer of northern hardwood flooring. Aacer offers engineered and solid, prefinished and unfinished, smooth and textured flooring. Everything is done under one roof at our 350,000 sq ft facility in Wisconsin. Win a $10,000 Extreme Adventure Giveaway! Have you seen the new Bona Atomic Van? 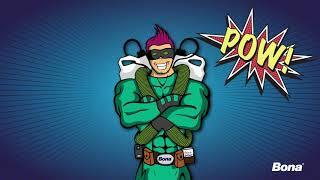 Our latest innovation in dust-containment is ideal for hard-to-access commercial jobs, providing a powerful system for the evacuation of the airborne dust that is generated from the entire sanding process. Come see the new Bona Atomic Van and be entered for a chance to win our Extreme Adventure Giveaway! 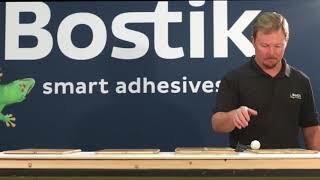 Learn how to burnish Quick Coat Penetrating Finish to achieve the finished appearance of a hardwax oil - BUT with the durability you know and trust from DuraSeal. With 31 packaged colors and endless intermix options you can always count on DuraSeal to deliver superior stain technology and color richness. 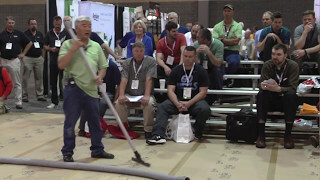 Request a product demo or contact a sales rep at www.duraseal-wb.com! Follow DuraSeal on Instagram and Facebook @durasealwoodfinishes! This is an exclusive opportunity to design a one-of-a kind, hardwood floor for the lobby of a new restaurant within MGM Resorts’ newest hotel in Las Vegas, Park MGM! By pushing the limits of hardwood flooring design and installation, the lobby will be the focal point of a hot, new steakhouse. 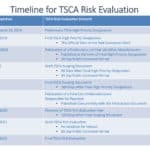 It will leave a lasting impact on the space and the individuals who experience it. 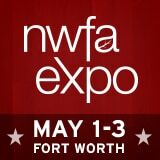 The competition welcomes designs from flooring installation contractors, interior designers and architects with expertise in commercial spaces. 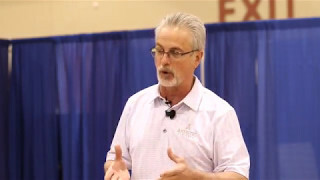 Learn about stair nose installation techniques from Artistic Finishes’ Technical Sales and Education Manager, Bill Treiber. 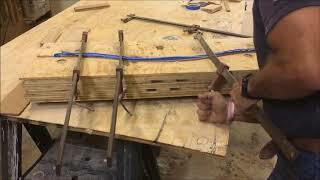 He covers new products on the market, recommended products for installation, plus tips and tricks to ensure a durable, professional looking stair nosing installation job. 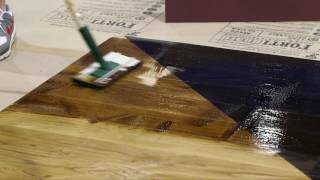 Watch as Waterlox demonstrates how to apply TrueTone it’s new buff-in, color-infused tung oil that enhances the color of wood, while providing a protective matte finish. Available in 11 shades, easy to maintain, low odor and VOC compliant in all 50 states. 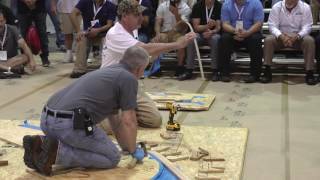 Watch as NWFA Regional Instructor Lenny Hall demonstrates how to curve a baseboard by bending fillets. 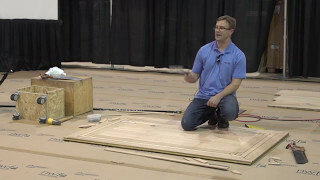 Watch Brett Miller, NWFA Director of Certification and Education demonstrate two different adhesion test methods on a wood floor finish. 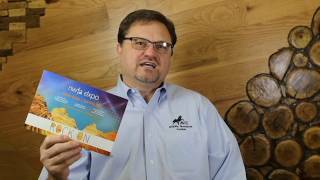 Watch as Wayne Lee, Middle Tennessee Lumber, shares his thoughts on the exciting things going on at NWFA in 2017. 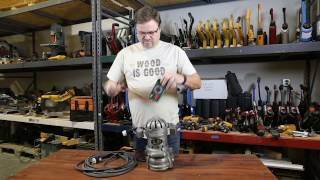 Watch as Wayne Lee, Middle Tennessee Lumber, demonstrates how to test for a short in a power cord or unit using a voltage meter. 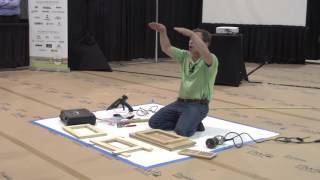 Watch as Lenny Hall, Endurance Flooring, demonstrates how to safely cut aluminum using a table saw.